WONDERING HOW TO TEACH SIBLINGS ABOUT AUTISM OR OTHER DISABILITIES? 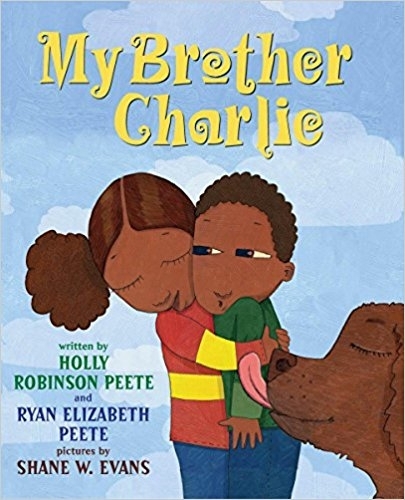 The best books to help your children understand their siblings who experience the world differently. Amusing and often touching, this story encompasses the issue of disability in a charming celebration of sibling friendship to which all children can relate. Julie can't wait to go to the park and feed the ducks with her big sister. Her little brother, Ian, who has autism, wants to go, too. Ian doesn't have the same reactions to all the sights and sounds that his sisters have. Leah's Voice is a fictional story inspired by two sisters. It touches on the difficulties children encounter when they meet a child with special needs such as autism. Siblings may find it difficult to explain to their friends, or feel disappointed when their friends aren't more understanding. Leah's Voice tells the story of two sisters facing these challenges. Through her kindness and devotion, one sister teaches by example the importance of including everyone and showing acceptance. "Charlie has autism. His brain works in a special way. It's harder for him to make friends. Or show his true feelings. Or stay safe." But as his big sister tells us, for everything that Charlie can't do well, there are plenty more things that he's good at. He knows the names of all the American presidents. He knows stuff about airplanes. And he can even play the piano better than anyone he knows.